Two Middle East experts from the U.S. Institute of Peace, Elie Abouaoun and Sarhang Hamasaeed, discuss Iran’s evolving role in Iraq with Garrett Nada. What are the major phases that Iraq has gone through since the 2003 toppling of Saddam Hussein’s regime? What has Iran’s involvement been during these phases? Abouaoun: In 2003, Iran saw an opportunity to expand its influence in Iraq. It used a multipronged strategy. First, it encouraged Shiites, the majority of the population, to participate in the political process. Tehran pushed its allies and proxies to compete in elections and gain control over state institutions, including the armed forces. Second, Iran supported new and old armed groups with varying degrees of loyalty to it. By the late 2000s, it had developed a core group that was still loyal in 2018. Third, Tehran helped and encouraged its allies to become dominant players in the new economic landscape, especially in the predominantly Shiite south, in cities like Basra. When ISIS swept northern Iraq in mid-2014, Iran saw another opportunity to expand its influence. Until then, it had focused primarily on Baghdad and southern Iraq. As Iranian-backed groups, under the umbrella of the Popular Mobilization Forces (PMF), fought back ISIS in northern Iraq, Tehran was able to pursue its interests in Nineveh, Diyala and other places. For example, Iranian-backed armed groups have reportedly facilitated construction of roads in Diyala that have benefitted its religious pilgrims while connecting supply routes through Iraq to Syria. Hamasaeed: Many Iraqis and outside observers saw Iran’s involvement in post-2003 Iraq as a continuation of its efforts to export the 1979 revolution. They saw Tehran’s intervention as a new chapter of the 1980-1988 war with Iran. That bloody conflict ended in a stalemate. But many Iraqis say Iran finally won the war in 2003 because it gained so many entry points into Iraq, especially in politics. Several Iraqi opposition groups were either formed in Iran or survived with Iranian support during Saddam Hussein’s reign. Iran especially provided Shiite groups, like the Islamic Supreme Council of Iraq, with refuge and funding. These groups quickly became dominant political players after Saddam’s ouster. So, Iran had access to the political system from the early days of the new government. In the mid-2000s, Iran used two issues to mobilize Shiite parties and armed groups in Iraq. The first was sectarian tension. Iranian support for armed groups, such as the Mahdi Army, that targeted Sunnis intensified the conflict. Al Qaeda’s attacks on Shiites also perpetuated the cycle of violence. Iran portrayed itself as the protector of Shiite interests. The second issue was the presence of U.S. and coalition forces, which Iran called an occupation. At first, Tehran thought it might become Washington’s next target. But it did not mount an all-out proxy war against U.S. forces. Iran supported armed and political groups who also wanted Western troops to leave Iraq. Iran’s allies attacked U.S. troops but within a limited scope. Tehran wanted to prevent Iraq from becoming a U.S. proxy by pushing coalition forces to leave with a sense of failure. Iran also had some leverage among the Kurds in northern Iraq post-2003. During Hussein’s reign, Tehran hosted and supported Kurdish opposition groups. They were not as beholden to Iran as the Shiite groups, but these decades-old links have helped Tehran maintain close ties to the two major Kurdish parties, the Kurdistan Democratic Party and the Patriotic Union of Kurdistan. In subsequent years, Iran also developed a good working relationship with the Kurdistan Regional Government (KRG). After the 2011 U.S. withdrawal, Iran gained additional leverage over Sunnis and Kurds. Many Iraqis saw an Iranian hand behind Prime Minister Nouri al Maliki’s efforts to exert control in Sunni areas. Maliki’s party, Dawa, was in exile in Iran in the 1980s. Maliki lived there for eight years. His policies as prime minister reflected a Shiite desire to prevent threats like the Baath Party and al Qaeda from reemerging in Sunni areas. The rise of ISIS in 2014 provided an opportunity for Iran and its allies to expand their reach into predominantly Sunni and Kurdish areas in the north. Iranian-backed groups set up offices in areas where they were not previously active, such as Kirkuk and Nineveh. These places are part of disputed territories between the KRG and Baghdad, further complicating the situation. Tehran has gradually diversified its engagement in Iraq through a variety of political parties, sometimes even competing groups. But it has managed these rivalries to protect its own political and economic interests. To what extent have U.S. and Iranian objectives overlapped in Iraq? 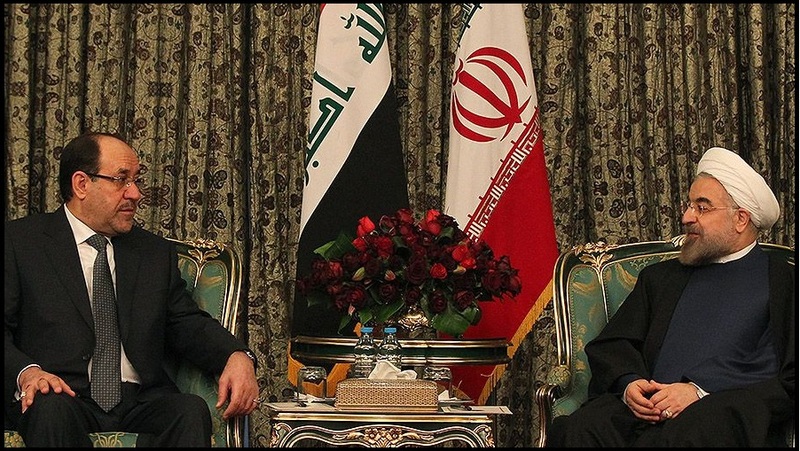 Hamasaeed: Both the United States and Iran want to preserve the territorial integrity of Iraq. Iran especially favors stability along its 900-mile border with Iraq. The two also favor a better functioning central government. But Iran wants Iraq’s political system to be weak enough for it to manipulate. Iran would prefer the components that make up Iraq to either be too weak to challenge it or to be dependent on it. Both Washington and Tehran also want to ensure that ISIS does not regain a foothold in Iraq. That is why U.S. forces and the PMF played complementary roles in the anti-ISIS campaign, despite U.S. concerns about some Iranian-backed PMF groups. Several Shiite brigades allegedly committed serious human rights violations against Sunnis. Iran’s regional rivals allege that it has hegemonic ambitions. Iran, on the other hand, says it intervenes in other countries, such as Syria and Iraq, to protect its own national security interests. What has Iran’s posture in Iraq been? Abouaoun: Since 1979, Iran has been challenged by regional and international powers. With few allies, Iran has attempted to exert regional influence except by overt means – setting up armed groups and political movements, infiltrating nations’ armed forces, etc. These subversive tactics have confirmed the suspicions of its regional rivals about its expansionist goals. Hamasaeed: Iran has acted more aggressively during a few critical junctures. In 2010, Iran used its clout to ensure that a Shiite with strong connections to Tehran became prime minister. They backed Nouri al Maliki rather than Ayad Allawi, a critic of Iran’s involvement in Iraqi affairs. Allawi’s coalition won two more seats in parliamentary elections than Maliki’s but was unable to unable to unseat him. Maliki won, in part, because Iran ensured that its allies backed him. In 2012, Iran played a critical role in shielding Maliki from a no-confidence motion supported by Sunnis, Kurds and some Shiites. Tehran persuaded President Jalal Talabani, a veteran Kurdish politician, to not back their efforts. The Sadrists, who were closer to Iran at the time, withdrew their backing for the motion, culminating in its failure. In 2016, towards the end of the Obama administration, Iran anticipated a more hawkish policy from either of the two leading candidates for president, Hillary Clinton and Donald Trump. Tehran moved to consolidate territorial and communal gains in Sunni areas in preparation for whatever would come next. What kind of presence does Iran have in Iraq as of early 2018? What are its objectives in the May 2018 election? Abouaoun: In the security sector, several of the larger PMF groups have been trained and advised by the Islamic Revolutionary Guard Corps (IRGC). In terms of diplomacy, Iran’s embassy in Baghdad and its consulates in the KRG and Basra are very active. But Tehran’s real influence is behind the scenes. For example, the commander of the IRGC’s elite Qods Force, Qassem Soleimani, has not only advised Iraqi armed groups. He has also brokered political alliances. Now that Iran has many points of leverage in Iraq, it may not intervene as overtly to support a candidate for prime minister in 2018. 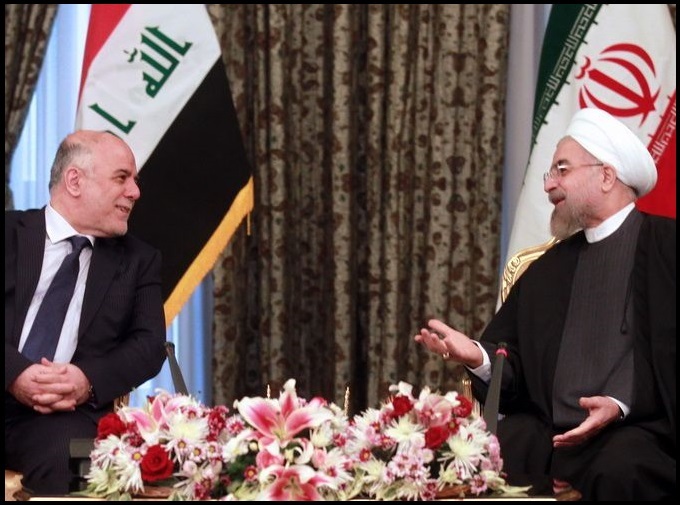 Iran does not want Iraq to fall into a civil war, and it does not want a polarizing figure to become prime minister. Therefore, Prime Minister Haidar al Abadi may still have a shot at keeping his job, as his weakened position could make him less of a threat to the Iranian influence in Iraq. Tehran can benefit from someone like Abadi, who can engage with the international community and maintain relations with Sunni Gulf states. Elie Abouaoun is the director of the Middle East and North Africa Programs at the U.S. Institute of Peace. Sarhang Hamasaeed is the director of Middle East Programs at the U.S. Institute of Peace. Garrett Nada is the managing editor of “The Iran Primer” and “The Islamists” website at the U.S. Institute of Peace.